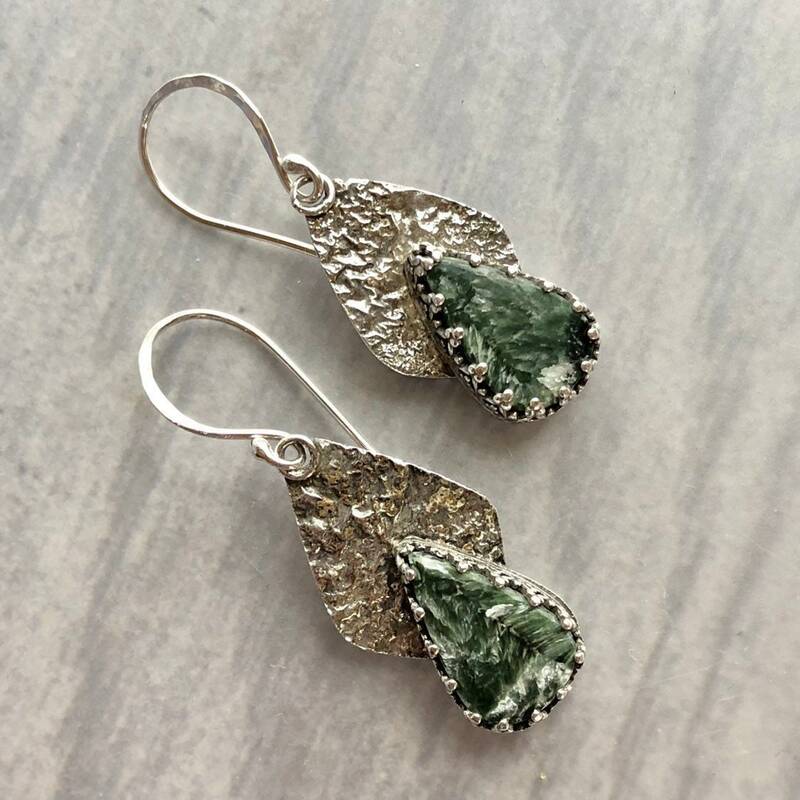 A long, flattened teardrop of seraphinite hangs at the bottom of a heavily reticulated silver leaf. The stones are set in fancy heart-motif gallery bezel. 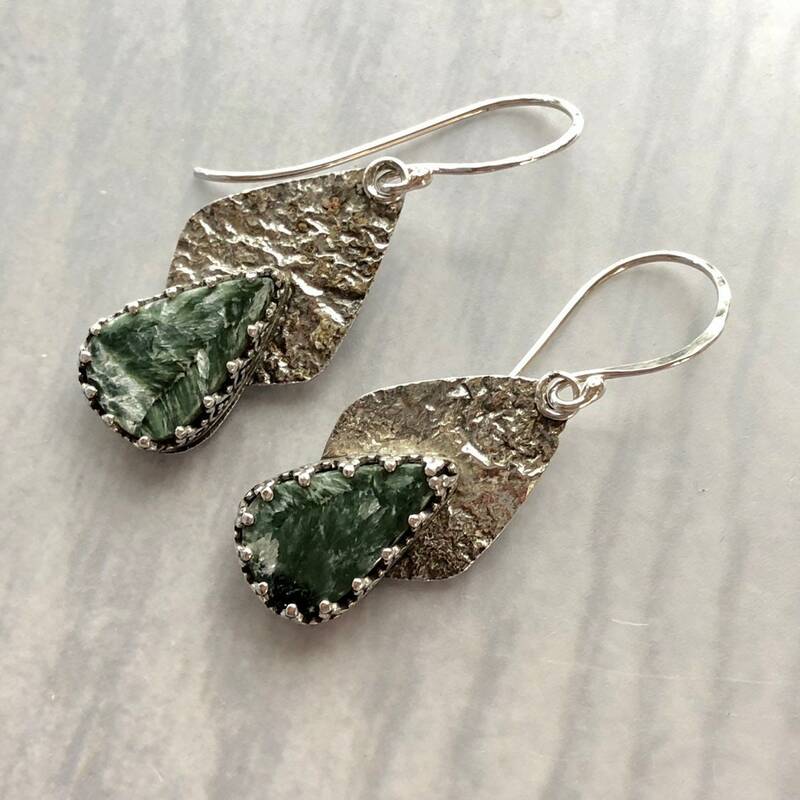 The shape of these earrings, the green stones, and the textured silver is unique and eye-catching. • The seraphinite stones are 11mm x 17mm. • The earrings are about 1 3/4" long from the top of the hook to the bottom. • I have reticulated the silver by hand to give it the characteristic deep wrinkles and texture.